It’s easy to forget how lucky we are to live and work in an age where we have such a direct line of contact with our fans. I can’t imagine the excitement of launching a new ride or putting out a new piece of news or information without the buzz that comes from reading the initial fan comments. Seeing the shares, comments and reactions increase as the excitement and discussion builds. Realising that those months of hard work have paid off is a feeling unlike any other and that instantaneous fan feedback is precious because it’s absolutely priceless. It’s a litmus test of how your message will be received across the board and is an invaluable tool when it comes to communications, marketing and PR. Working with influencers in theme park marketing is a gift. For me, working on-site at a park is particularly wonderful because not only do we benefit from that two-way fan/park communication via social media, fans also share their thoughts and feedback directly with me in the park, which I can then take back to my desk. It’s a competitive advantage that not many other marketeers around the world have the benefit of and one I look to maximise at every opportunity. Fans are an endless source of knowledge, whether it be sharing feedback on a change in operations that hasn’t been communicated clearly, or whether they remember something that worked well that we might want to re-instate. Having these real conversations via social media with our fan groups humanises the resort as a brand, allowing us to come across as more approachable and likeable. 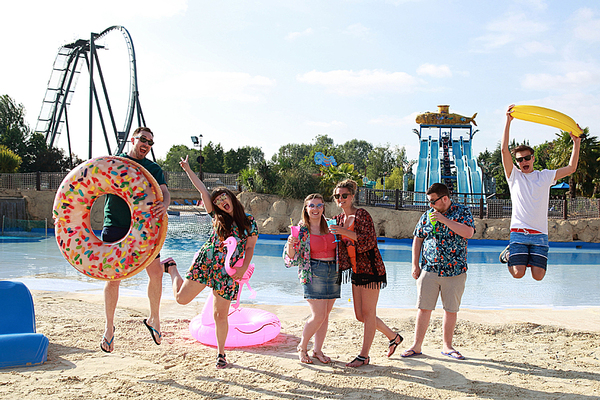 At Thorpe Park, we dedicate hours of our time to engaging with fans on Twitter. Often it ends up with other parks joining in and everybody involved having a good laugh. It allows the joy of a day out at the resort to extend beyond the gates and as a result, it simultaneously enriches the perception of the brand and strengthens the park/fan relationship, which can only be of benefit to us all. Loyal followers can also help tactically through their own communications, in both positive and negative ways. We often work with fan groups in the very early ‘tease’ phases of a campaign, sharing a vital piece of information with one or two key influencers in the community. We then watch as it spreads like wildfire, as the various groups discuss and theorise what this new piece of the puzzle could possibly mean. Not only does this benefit us by quashing potentially negative discussions, it also further improves the relationship with fans, by maintaining a line of contact. Public negativity and potential social media backlash seems daunting, but there are ways attractions can control these. Firstly, we always follow our social media guidelines, to protect our team and ensure communications remain professional while maintaining our brand’s tone of voice. It’s also important to communicate in a concise and informed manner, and not be afraid to call out uninformed comments or factual inaccuracies. On the rare occasion when there’s an incident, social provides the best, and now generally expected, way of communicating quickly with the park’s stakeholders, including our guests. 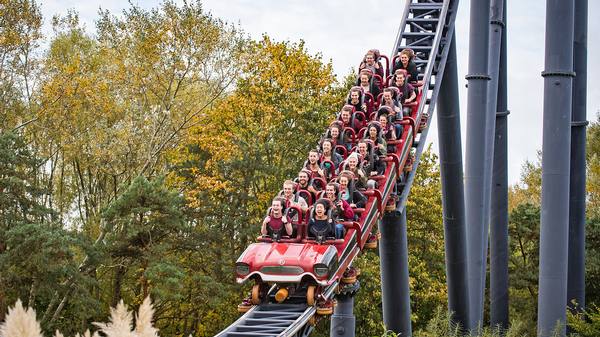 Merlin Entertainments – Thorpe Park’s parent company – launched its Merlin Backstage service in 2016. It’s a platform that highlights the great work we do across all of our attractions and it’s about sharing brand positivity, achievements we’re proud of as a company and exciting behind the scenes articles that grip the interest of the most dedicated members of our fanbase. Increasingly some parts of the media rely on sensationalism in order to drive clicks or paper sales, at the expense of telling the whole story. We want to ensure that when people form an impression of Merlin, they do so with the right context and information. Our fans shout the loudest on our social media platforms, and because they love sharing and engaging with these articles, this, in turn, helps boost a better understanding of what Merlin does. Fan-made vlogs, Facebook comments and discussions and even internet forums are a goldmine when it comes to gaining first-hand perspectives of a day out at your attraction. 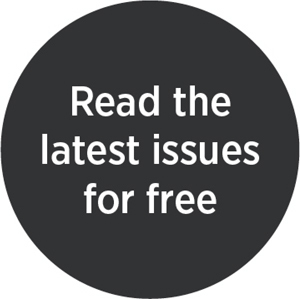 It’s absolutely something parks should be taking the time to read through and engage with. Not only will it let the fans know the park they love, really does care about them and has a vested interest in what they’re doing, it also unlocks priceless information you can use to continue to develop and improve your product. From my own personal background as a fan, it’s easy for me to understand how news can be blown out of proportion. “Somebody has a brother who works on a ride who heard the gardener say such and such is happening”, and suddenly it’s taken as gospel and you have hundreds of angry fans demanding more information. I understand how fans behave and react because I’m one myself. I believe that my experience as a theme park enthusiast has instilled in me a valuable knowledge of not only how these rumours and misinformation spread but also how fan groups want to be treated by the theme parks that they love. Social media is an incredibly powerful brand building, engagement tool, but it has its risks too. We’re aware that people are not always who they say they are, which is why we have clear guidelines for using social media. They’re there to protect both us and the company. I’m passionate about the importance attractions should place on maintaining a good relationship with fan groups. They can be honest – brutally so at times – but it’s that honesty that will help you identify any key issues at your park. It’s about trust and respect because ultimately, we all have the attraction’s best interests at heart – whether that’s from a personal or business perspective. For me, it’s both. Jordan Middleton has a long-held passion for the themed attractions industry and uses her knowledge to bring exciting and innovative attractions and events to life. 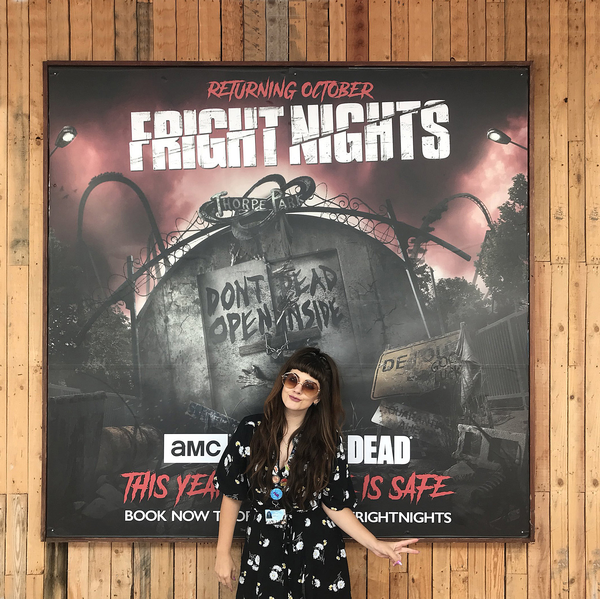 Since taking up her position at Thorpe Park, she’s helped to oversee the delivery and implementation of ‘The Year Of The Walking Dead’, including the launch of ‘The Walking Dead: The Ride’ in March 2018. 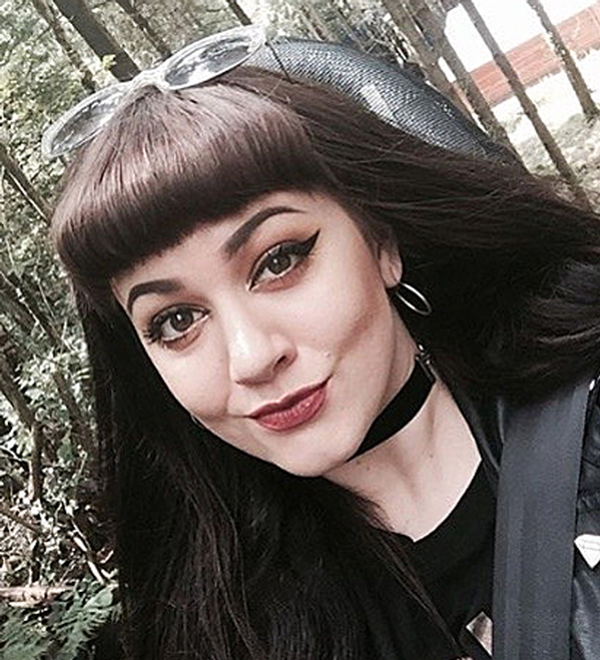 Middleton joined Thorpe Park as its social media executive, a role she landed through her experience assisting with the operation of the social media channels for enthusiast website CoasterForce. She used her knowledge of social media and branding to develop the theme park’s social channels, bringing it to life through its multiple digital platforms. Alongside her role at Thorpe Park, she also runs her own fan page Cupcakes & Coasters, which has more 5,000 followers.